California might immediately come to mind when you think of American wineries, but here's something else to think about-Ohio ranks in the top ten of this country's wine producing states and is home to more than 100 wineries, and 20 of those wineries are within 10 miles of each other in Ohio's Grand River Valley. We first discovered the Grand River Valley last year, when we visited the area to tour its many covered bridges. We returned for a closer look at some of the wineries during a recent stay at the nearby Lodge at Geneva-on-the-Lake. I'm familiar with wines in my home state of Michigan and its vineyards, but I loved learning that Ohio also has a strong wine industry. The Grand River Valley's location near Lake Erie makes it ideal for growing American grapes like Concord, Niagara, Delaware and Catawba, as well as European grapes like Chardonnay, Pinot Gris, Riesling, Pinot Noir and Cabernet Franc. The lake moderates temperatures year round, circulating warm air to help prevent early frost to give grapes plenty of time to mature in the fall. The gently sloping terrain carries rainwater away from vine roots so they don't become oversaturated and dilute the grapes' flavor. The Grand River Valley encompasses portions of Lake, Geauga and Ashtabula counties, drawing tens of thousands of visitors each year, and the wineries we visited drew plenty of visitors during a beautiful, sunny weekend in early October. The vibe was happy and relaxed as a good crowd of guests sampled wines and appetizers at the tasting bar at Debonne Vineyards in Madison. Guests could purchase a flight of wines, and maybe a cheese plate to accompany it, or single sample of the wines of their choice at the tasting bar. The weather was so nice during our visit that many visitors ordered meals from the grill to enjoy in the outside dining area with their beverages. 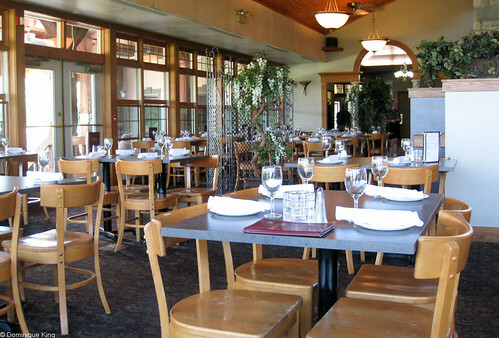 Peek through the dining room windows at Debonne to see everyone enjoying their food and wine outside! 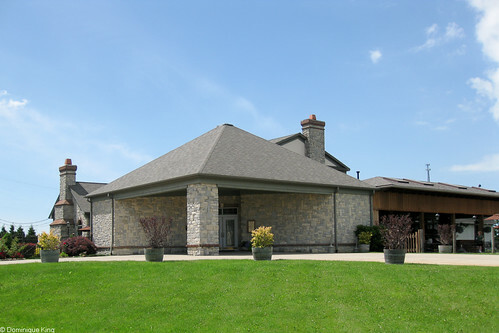 Debonne is Ohio's largest estate winery and family vineyard, and offers estate-grown European-style wines like Cabernet Franc, Merlot, Riesling, Pinot Gris and Chardonnay. Anton Debevc emigrated from the Slovenian state of Yugoslavia in 1914, establishing a fruit farm in Madison two years later. His son Tony helped expand the farm's vineyards in the late 1960s, and the family established themselves as commercial vintners in 1971. Today, a third generation of the family, headed by Tony's son Anthony, operates the winery. Beth Debevc took us on a private tour of the winery and one of the family's newest ventures, Cellar Rats Brewery. 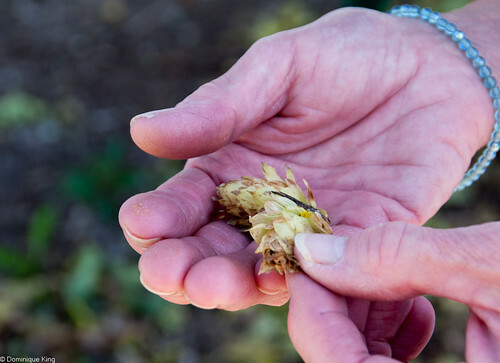 It was fun to glimpse the modern equipment like computerized wine presses and huge stainless steel tanks as well as huge hand-hewn oak barrels and hops from the sample garden. Debonne Vineyards has more than 140 acres of vines and produces over 85,000 gallons of wine each year. The microbrewery produces several seasonal and year-round signature brews like a wheat, or American Hefeweizen, ales and porters. I tasted a few of the winery's Rieslings and purchased a couple of bottles of their Razzberry Riesling to take home with me. I'd hoped to taste some of the beers, but we had a long drive ahead of us to get home that evening, so that's something I'll have to save for a later visit. We also stopped by Ferrante Winery & Ristoriante, another one of Ohio's largest family owned wineries. The Ferrante family began making wine in 1937 when Nicholas and Anna Ferrante opened a winery in the Collinwood area of Cleveland. Their sons, Peter and Anthony, built a modern winemaking facility at the family's Harpersfield Township vineyards during the 1970s, opening a full-service Italian restaurant there to showcase their wine with food in the 1980s. In 1994, a fire destroyed the restaurant, although it spared the wine production area, cellar and warehouse. 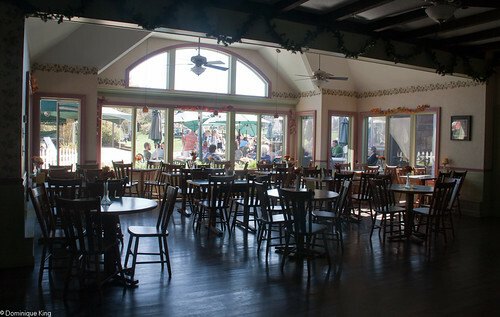 The family rebuilt the restaurant in 1995. Today, third-generation winemaker Nicholas Ferrante oversees production of more than 20 Ferrante wines, with a signature series made from estate-grown grape varieties like Chardonnay, Riesling, Pinot Grigio and Gewürztraminer. We enjoyed a meal in the restaurant overlooking the vineyard during a previous visit, when I first sampled Ferrante's Rieslings. This trip, we found a good crowd in the tasting room as I stopped in to pick up a couple of bottles of their American Riesling to take home. Check out Tuesday's story to learn more about our stay at The Lodge at Geneva-on-the-Lake, and come back next week for a new story about the Geneva State Park. 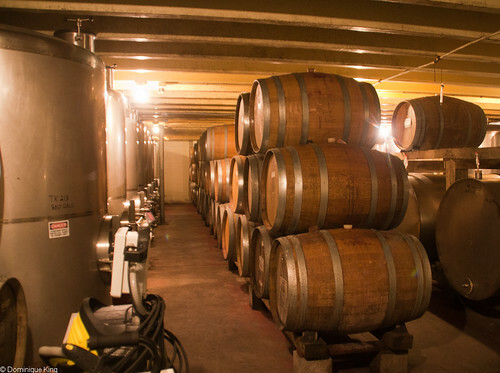 Want to learn more about the region's wineries? 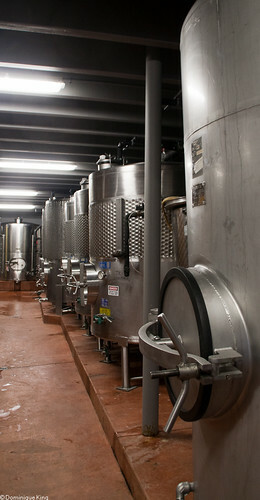 Check out Ohio's Lake Erie Wineries by Claudia J. Taller and Lee Klingshirn. Thanks to Daisy Hall, the marketing and events coordinator at The Lodge at Geneva-on-the-Lake, for arranging my interview with Beth Debevc at Debonne Vineyards. The Lodge also hosted us during our recent overnight trip to the area.